Swimming is an awesome sport for kids. Among other things, it should teach good work ethic, sportsmanship, teamwork, and discipline. However choosing a good team that fits both your swimmer’s and your family’s needs is critical to your swimmers success and enjoyment of the sport. It’s also critical to mom and dad’s sanity! The fact is, not all swim teams are created equal so you need to choose wisely. So to help you, here 9 things you should consider when choosing your team. USA Swimming – Offers Invitational style meets and championship level meets for many different levels of swimming, including novice level age group swimmers all the way up to Michael Phelps and Missy Franklin level swimmers. In my experience, when it comes to age group swimming this tends to be the most serious, demanding, and competitive swimming organization. YMCA Swimming - Many YMCAs offer competitive swim teams. These tend to be a bit less strict and demanding than USA swimming while still respecting the key aspects of swimming as a serious sport. There is a huge range in team types here. I’ve seen teams that have no more than a dozen swimmers who practice exclusively out of their Y’s small pool, all the way up to 350 kid mega teams who have nationally ranked swimmers going to Olympic trials. These teams usually swim a combination of dual meets, invitationals, and championship meets. YMCA swimming philosophy encourages teams to focus not only on the swimmer as a competitor but also teach the YMCA core values to help develop character in the swimmer. Many YMCA teams also allow you to do USA swimming at the same time to increase your meet opportunities and your exposure to more aspects of the sport. Rec Swimming - These teams are typically your more laid back teams. You find them at your local pools and they are run by the rules of whatever recreational league they belong to. Many swimmers start their swimming careers with these teams because they are usually fun, affordable, and eager to accept swimmers of any ability level. High School and Middle School Swimming: Many schools offer teams that are associated with your school and are governed by your state’s High School Athletic Associations. These seasons run for about 4 months during the school year where swimmers will compete for their teams in dual meets, championship meets, and in most cases a few invitational meets throughout the season. You see all levels of swimming at most schools, from kids just learning the competitive strokes, to kids who have swum competitively most of their lives and come onto the team already seasoned swimmers. Many of the fastest swimmers also compete for one or more of the previously mentioned swim team types during their off season. When choosing a team it is important to consider who will be coaching your child. Some teams offer nothing more than teenage life guards whose only experience is having swum with their high school team. While other more serious teams have coaches who are employed full time as a coach, who have a rich history of personal achievement in the sport both as a competitor and a coach. Most teams have coaches that fall somewhere in between those two extremes. Many coaches are people who are former swimmers who love the sport and coach part time so they can stay close to it, while still maintaining their day job/career which pays their bills. Within all of those different types of coaches you can find fabulous coaches and duds. But keep in mind if you are paying rec team prices for a glorified life guard to coach your swimmer you are probably not going to find someone with the know how to turn your child into a state champion caliber swimmer. Conversely, if you have your swimmer work with someone who has dedicated his or her whole life and career to swimming, you can expect them to be ..well…a little swim crazy. (which can be a good thing if your swimmer is also a little swim crazy…and it’s perfectly okay if they are, I have two sons who I love dearly who are fairly swim crazy themselves) These coaches are going to expect a much higher level of commitment from swimmers, parents, and your finances. If you find yourself somewhere in the middle, as most do, fear not there is a coach out there for you too. I personally prefer my coaches to be knowledgeable and fun, with just a touch of crazy. Also when choosing a team, and by extension a coach, take some time and do some leg work. Talk to other parents who have experience with the team and ask the questions that might be important to you. Also be sure to talk to the coach themselves and get an idea of what to expect. Any coach worth his weight in Speedos makes themselves available during registration and/or via email to answer parent questions. 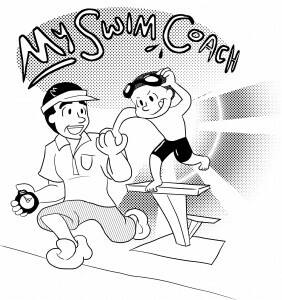 So ask away…How does the coach feel about swimmers playing other sports/doing other activities. How many practices a week do they expect a swimmer to complete? How does the coach handle correcting a swimmer? Do they make themselves available to discuss swimmers progress or other issues with the parents? How often will your swimmer see the head coach or will they be mostly with assistants? What are the assistants like? How many practices a week are required for my practice group. Do they have dryland workouts and are they required? How many meets are required, and when/where are they? What equipment does my swimmer need? Team suits, practice suits, drag suits, technical suits, flippers, goggles, kick boards, hand paddles, snorkels, etc..? Yeah who knew a sport with such skimpy uniforms could possibly need so much stuff! My kids look like they might be running away from home when they carry all of their giant swim bags into their practices! When are the Championship meets and are they required? Nothing will make a coach’s head explode faster than a family scheduling their vacation during the team’s championship…and trust me swimmers don’t like to see their coaches upset…remember coaches are armed with many weapons, including fly sets at practice. Oh the humanity!! Yes, your child is the one on the team, and yes YOU are still required to do things. No, writing a check will not suffice. As the person who used to be our teams volunteer coordinator, and the wife of our team’s booster club president I want to be very clear about this… Before joining a team find out what is required of you, if you are not OK with those requirements THEN DON’T JOIN THE TEAM! Signing your swimmer up for a team and then being shocked that you have to do things, like time or post results, is like signing up for a college class and being surprised when the professor assigns homework. Swimming is expensive, there is absolutely no way to get around that. Pools need to be rented, while coaches, life guards, and (sometimes) officials need to be paid, equipment costs money to buy and maintain. Sadly its just a fact of swimming life, costs add up fast! Now some teams are more expensive than others. On big serious teams you are talking about thousands of dollars in overall commitment. On smaller less serious teams your more likely talking about the low hundreds. On some very low key rec teams you might be talking even less than that. On my kids’ first rec team the fee was $15 plus the cost of the optional team suit. But remember as with all things you get what you pay for. When choosing a team watch out for the following costs, some of which might sneak up on you. While not all teams have all of these fees, most have a combination of at least some of them. Membership fees (USA swimming and YMCA swimming require membership to their governing organizations in addition to regular team fees, some teams include it in their price, other break it out). Meet entry fees – many invitational and championship meets charge swimmers per event. Admission to the meets – this is what you pay to watch your kid swim. Yes they charge admission at many meets. Why? Because the host team spends thousands of dollars to rent pools and pay for meet staff and equipment. They have to recover those costs somehow, plus they need to make a profit on the meet or else they wouldn’t go to the trouble of hosting it. I’ve paid anywhere from $2 to $10 to get into a meet, Most are around $4-6 per day. Equipment, uniform, and suit costs – You’ll have to pay for most of this, and remember swim suits don’t last forever, especially when you are swimming several times a week. 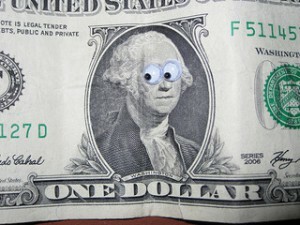 Check out my entry on how to save money by properly caring for your suits! Parking, depending on where your practices and meets are held parking fees may become an issue. Some people have to drive quite a distance to get their kids to practices and meets. For a while my family drove 45 minutes each way to practice 5 times a week. Keep distance in mind when choosing your team. While traveling to find to find quality coaching and facilities can be well worth it, the time commitment, expense in gas, and wear and tear on your car are not insignificant considerations. Having swimmers of similar ability level on your team is important. 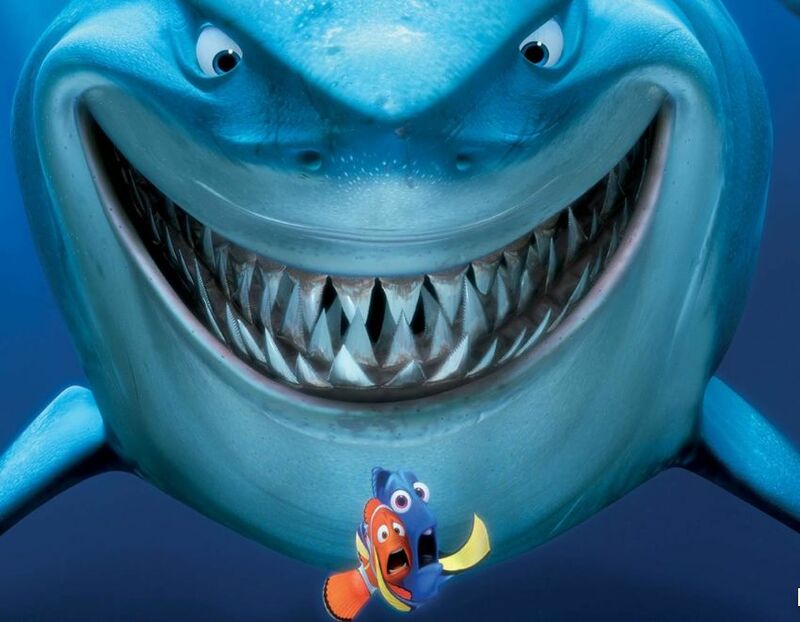 If you are a very high level swimmer who is dramatically faster than everyone else on the team, while it might be fun to be the superstar in the short term, you will eventually run into problems. Not the least of which is your swimmer won’t have anyone to push them at practice, so they will likely not advance as far as they could. Plus elite swimmers come with bigger expenses for a team, including needing longer and more frequent practices, coaching and travel to extra meets, etc…and not all teams have the resources and facilities to serve this level of swimmer. Conversely, if your swimmer is dramatically slower than all of their teammates, you’ll run into problems too. Your swimmer may get frustrated, embarrassed, and the coach may not be able to tend to their needs while also coaching the other kids. Plus, sadly, sometimes you’ll get parents complaining that the slow kids are “clogging up the lanes”…I personally think these parents are often nothing more than over aged school yard bullies…but in extreme cases it can actually be dangerous to have kids of dramatically different ability levels in the same lane. The good news is swimming is becoming more and more popular, and most areas have at least a few of teams to choose from. If you look around you can find one to fit your needs and preferences. If you are not sure if your swimmer fits well with a team with regard to ability, ask the coaches for advice. A good coach will be able to answer that question intelligently. Most teams have some sort of parent organization to help run the team. Some have more duties/powers than others. When looking at teams try to find one that has a well organized parent organization. Look for ones that share information on a website or other venue in a clear and logical fashion. Representatives should respond to your questions in a timely, professional, and helpful manner. Look to see if they have a handbook posted and read it to see if their policies are a good fit for you. It is exceptionally important to decide what you want out of a swim team and then work to find a team that matches your expectations. Teams vary widely in their philosophies. Some focus on hard training and winning at all costs, some focus more on the development of the whole swimmer…physical, mental, social, etc, some focus on individual success while others are very team oriented. Still other teams focus on fun above all else. No one philosophy is necessarily better than the other, what matters is finding a team that most closely fits your swimmer’s goals. Putting a social swimmer on a team looking to produce Olympians will eventually make them hate the sport. Whereas putting a competitively driven swimmer on a team that plays games at half the practices…well that’s like going to Chuck E Cheese and wondering where the waiter with the wine list is…and why is it so darn noisy?! When looking for a team, the bottom line is you really need to do your homework before you join. So many parents randomly join a team, or base their decision on just one aspect of their needs such as cost, location etc.. Then they get frustrated when the team doesn’t do what they want. You’re much more likely to find success and enjoyment if you know what your getting into and are excited about what you’ve found out before you write the check. Joining a team and then expecting them to change their philosophy, fees, structure, requirements, etc… is unrealistic and unfair. Finding a team that fits your needs, limitations, and preferences will make everyone, including your swimmer, you, your coaches, and your fellow swim families much happier in the end. 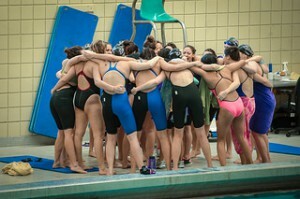 So tell me what things are most important to you when choosing a team for your swimmers? Once you’ve chosen your team be sure to check out How to Prepare for your Swimmer’s First Practice. Very informative post about the different types of swim teams. Like most parents, I knew NOTHING about this sport OR the importance of vetting different swim teams to find the best match. So we just went along with the team with the most vocal, rah-rah-rah, “our team is better than their team” parents. Not the best way to approach this important decision! Hopefully, your readers will take in the information you give here and make an informed decision. Thanks Swimteamlifestyle! Yeah, I too knew nothing when my kids joined. One day my cousin called me begging me to sign my twin 5 year olds up for her team because she’d just been hired as a coach and she needed more young kids. So we decided to give it a try, and 12 years and 4 swimmers later here we are. I guess I didn’t really choose our first team so much as inherited it. Once we got serious about swimming though and looked at more than just rec teams, it was time to give the decision a little extra thought. I have seen lots of college kids trying to teach on US teams here in Minnesota – it is a disaster and made me quit after 2 seasons. 8 kids fighting for a tiny spot in one lane, coach no idea what they are doing and 4 hour swim meets on the weekend are rather a burden than fun. And I had a winner out there, great times, swam a few 1st and 2nds and a lot of talent ! So think very carefully before you get into swimming ! 8 swimmers in a lane is not an uncommon number and usually is not a problem as long as the coaches know what they are doing. Unfortunately, it sounds like this was not the case for you. Finding a team with quality coaching can be a challenge. It’s tough because there is not a lot of money in age group coaching so it is difficult for teams to find mature experienced coaches and still keep their team fees affordable. Good teams and coaches of course are out there but, sometimes it takes a bit of effort to find them, and unfortunately they are not always available at your local pool. When my kids first got serious about swimming we had to move to a team that was 45-60 minutes away (one way)…it was worth it for us though because my kids lived to swim. My oldest son is now swimming in college and plans to make coaching part of his career. He btw coaches in his off-season time, and parents on his team fight to get their kids in his practices, so not all college age coaches are bad. Meanwhile there’s a 31 yr old college educated coach who coached my youngest son this season who has no business being near a pool or working with children…age is not always a good indicator. As for 4 hour meets…you get used to them if your kid really loves swimming. Personally I’ll take a 4 hour weekend meet over being at the ball diamond 3-5 games a week any day. My wife and I have been thinking about looking for competitive swim teams for our kids, and I think that being able to know some things to consider in making our choice would be helpful! I’m glad that you talked about looking at what different competitive swim teams require of the kids, like how many practices there are in a week, and what equipment they need. I’m going to have to make sure that we ask these questions and figure out which competitive swim teams would be best for our kids! Thank you! Thanks for the comment! I’m so glad you found this article helpful. Best of luck with your kids’ first season of swimming. Please come back and let us know how it goes! Is this a USA team?